Enjoy the top 34 famous quotes, sayings and quotations by Lea Salonga. 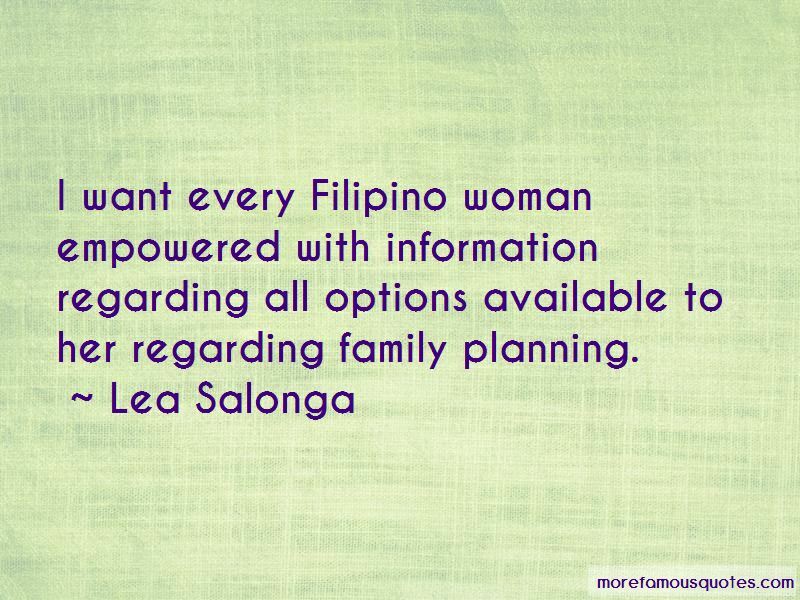 I want every Filipino woman empowered with information regarding all options available to her regarding family planning. I play video games a lot ... I love to read ... I enjoy spending time with my husband and daughter, who are my most favorite people in the world. I don't think I would've been performing this long if I didn't love it sincerely to the degree that I do. It's not enough to like it. Dilettantes like things. Professionals love things and I consider myself a professional. I'd love to do just straight theatre. I'd love to do film and television, too. 'Allegiance' is pretty much a book musical. You know, people talk and then they burst out into song. My singing technique is really strong and I have to thank my teachers for really instilling a sense of discipline about how to sing properly and how to maintain your voice in a run. Want to see more pictures of Lea Salonga quotes? 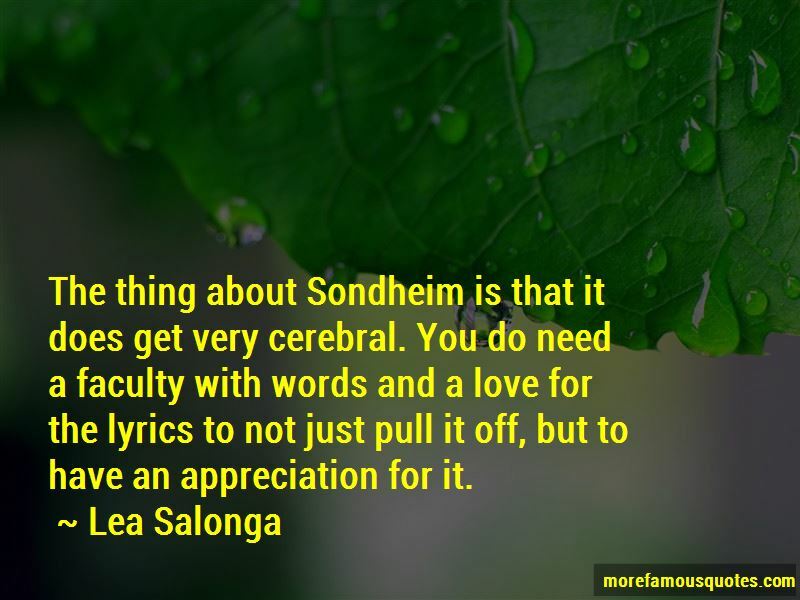 Click on image of Lea Salonga quotes to view full size.